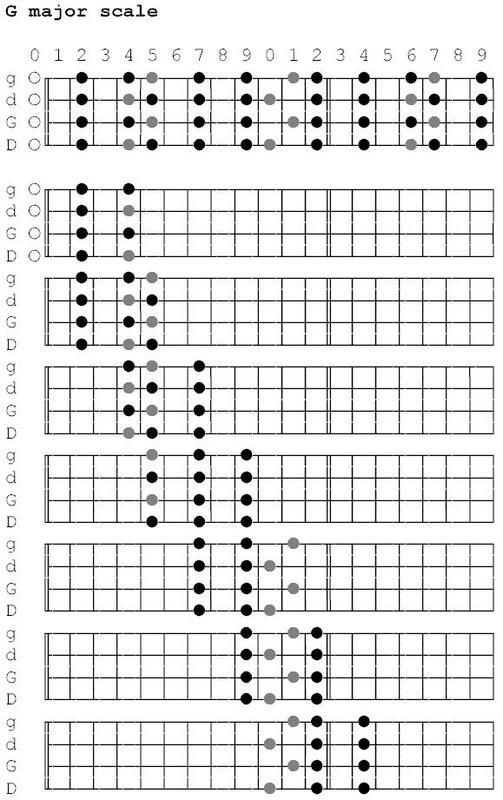 The G Major scale is a good place to start. It's easy to equate the banjo with lightening fast riffs and this can be terrifying to the budding banjoist. Simply plucking a few strings on a porch can be a peak experience. It's key to learn some banjo scales and get familiar with them. Try these and memorize them backwards and forwards. This is what it takes to master the banjo or at least become competent. As the loudest stringed instrument, it's important to never play a "bad note" and understanding the boundaries will help.